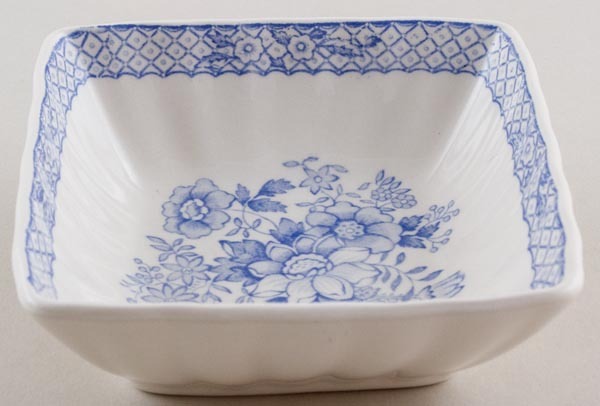 Lovely little square dish with fluted rim and pattern on the inside only. Masons version of Asiatic Pheasants. Backstamp: Mason's Ironstone Made in England Stratford Permanent Detergent Proof Decoration. Excellent condition.